Amazon.in, in association with OnePlus, a smartphone maker announced its unique ‘OnePlus Lucky Star’ campaign last week to celebrate the fourth anniversary of their partnership. 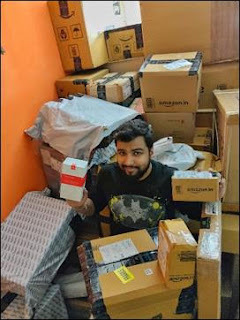 Shashank Shekhar, a 24 year old resident of Delhi has been declared the ‘OnePlus Lucky Star’ and is now eligible for 600 exclusive gifts ranging from electronic appliances to fashion to home decor. The 600 gifts were delivered personally by Vikas Agarwal, General Manager, OnePlus India to his doorstep.